The Waco restaurant was shuttered by police on Monday morning, effective for a week, as a safety measure. 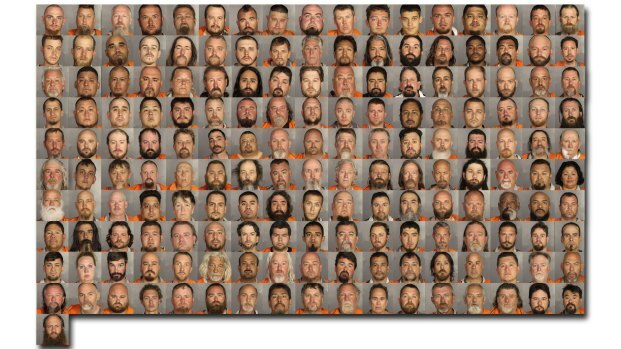 North Texas-based restaurant chain Twin Peaks Monday revoked the franchise status of the Waco location that became a battleground in a brutal biker gang melee that left nine people dead Sunday, the company said in a statement. Waco police Sgt. W. Patrick Swanton said Monday the restaurant had been banned from selling liquor for one week, and he hoped the restaurant itself would close for the same period. He was not yet aware the franchise had been revoked, he said early Monday afternoon. Twin Peaks corporate spokesman Rick Van Warner told NBC 5 the restaurant in Waco will not be allowed to reopen as a Twin Peaks, use their recipes, trade dress, logos, signage, etc., and that they are in the process of revoking the franchise agreement. Van Warner said signage will be coming down eventually, but not until after the investigation by law enforcement has concluded. 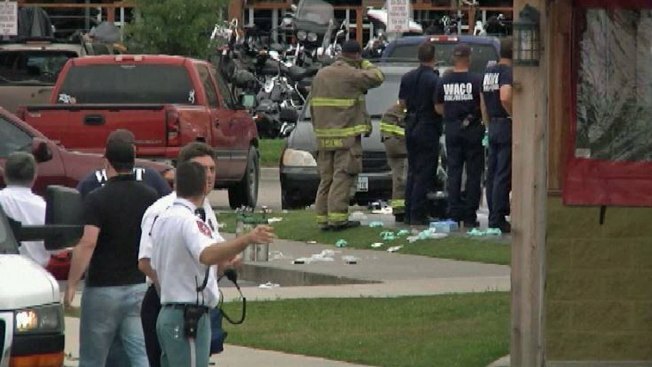 The development came one day after the rumble at a meeting of rival biker gangs killed nine, wounded 18 more and left the restaurant littered with bodies, bullet casings, knives, a club and pools of blood. We are in the people business and the safety of the employees and guests in our restaurants is priority one. Unfortunately the management team of the franchised restaurant in Waco chose to ignore the warnings and advice from both the police and our company, and did not uphold the high security standards we have in place to ensure everyone is safe at our restaurants. We will not tolerate the actions of this relatively new franchisee and are immediately revoking their franchise agreement. Our sympathies continue to be with the families of those who died and are very thankful no employees, guests, police officers or bystanders were hurt or injured. Company spokesman Rick Van Warner said the company is "very upset that clearly our standards of safety and security were not upheld in this particular case" and that "the notion that we as a company were warned and did nothing is false. We immediately alerted this franchise, but they chose to ignore the warnings from both police and our company." Waco police Sgt. Swanton has said that the restaurant's operators also were aware of the meeting in advance and would not cooperate with authorities. "Apparently the management wanted them here, and so we didn't have any say-so on whether they could be here or not," Swanton said. "We were shocked by the shootings that took place in the parking lot of our franchised restaurant in Waco and are fully reviewing all the circumstances surrounding it. We are thankful no employees, guests or police were injured in this senseless violence outside the restaurant, and our sympathies are with the families of those killed."